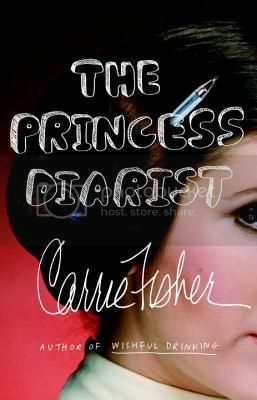 Book Summary: The Princess Diarist is Carrie Fisher’s intimate, hilarious and revealing recollection of what happened behind the scenes on one of the most famous film sets of all time, the first Star Wars movie. This was the first book I have read from Carrie Fisher. I had never read of any of her other books but I had heard that many of her books were humorous and worth the read. This one drew my curiosity more when I learned that this book would contain information on her affair with Harrison Ford. She admits that because of all the pot smoking she did pretty much obscured her memories so the only thing she has to connect the dots with are the diaries she kept while having her weekend affair with Harrison Ford. Yet, there are no major mentions of her working with Mark Hamill and what it had been like to be on the set of Star Wars. But I do suppose smoking pot does cloud one's memories and thus you only have your diaries to fall back on. I just wish there had been more stuff from the Star Wars set. I don't expect scandal or gossip, just what it had been like to be there. Maybe I need to read her other books.